Policy mechanisms to support farmer management of crop biodiversity in locations that are "promising candidates" may be classified as either related to (1) the demand for or (2) the supply of genetically diverse or distinct crop varieties (Bellon, 2000; Jarvis et al., 2000). Some illustrative examples are provided below, though many of these initiatives are new and their efficiency in meeting conservation goals given the level of investment required has not yet been assessed using cost-benefit analysis—at least in published literature. Philippines, molecular analysis revealed the genetic distinctiveness of the Wagwag group of traditional, nonglutinous varieties of rice that farmers also ranked highly according to consumption quality criteria. Researchers recommended a breeding intervention to address the long duration and low yield of the Wagwag group, reducing their disadvantages relative to modern rice varieties in the irrigated ecosystem (Bellon et al., 1998). Plant breeders can work with farmers to select superior local materials or transfer a preferred trait from exotic into local materials. In India, a drought-tolerant, locally adapted landrace was crossed with a modern variety with higher potential yield, and the offspring selected by farmers under their own conditions (Witcombe, Joshi, and Sthapit, 1996). Known as "participatory" plant breeding, such approaches can require substantial time investments by farmers (Thiele et al., 1997; Rice, Smale, and Blanco, 1998). Oaxacan farmers as a group obtained nearly a 4:1 benefit-cost ratio from participating in a project to enhance local maize landraces and their diversity, although from the perspective of a private investor, benefits did not justify the cost (Smale et al., 2003). In Oaxaca, as in other maize-growing areas of the less-industrialized world, the high rate of cross-pollination in maize is reinforced by the simultaneous flowering of contiguously planted, fragmented fields. Under these circumstances, yield advantages of improved open-pollinated materials and landraces are difficult to maintain unless a cost-effective, local system of seed multiplication, diffusion, and replacement is established. Smale et al. (2003) did not assess the public benefits of the project in Oaxaca, such as its contribution to maintaining the diversity of maize landraces, because of measurement difficulties. Not all participatory projects are undertaken with the goal of enhancing crop biological diversity, however. The release of well-adapted varieties, whether they are developed with or without the active participation of farmers, may cause a decline in the diversity of varieties grown because they are so popular (Friis-Hansen, 1996). Research has indicated that farmer involvement in the later stages of variety selection is associated with better local adaptation of materials (Sperling, Loevinsohn, and Ntambovura, 1993; Maurya, Bottrall, and Farrington, 1998; Sthapit, Joshi, and Witcombe, 1996). Witcombe and Joshi (1995) argue that while participatory variety selection may not increase diversity, participatory plant breeding will necessarily enhance both intra-and inter-variety diversity because of the methods employed. In 1995, Loevinsohn and Sperling found that the linkage between participatory crop improvement and diversity was not well documented, though more published evidence is now being generated (Friis-Hansen and Sthapit, 2000; Jarvis et al., 2000; Weltzien et al., 2000). As incomes rise and commercial markets develop, landraces may continue to be grown when there is consumer demand for some unique attribute that cannot be easily bred into or transferred to improved varieties and if seed regulations permit. Advanced agricultural economies are characterized by growth in demand for an array of increasingly specialized goods and services (Antle, 1999). In general, though the income elasticity of demand for staple grains may be low or even negative, the income elasticity of demand for grain attributes is higher. For example, high income consumers spend more on rice by paying higher prices for varieties with preferred eating quality which they substitute for the lower-quality variety consumed when the income-level was lower (Unnevehr, Duff, and Juliano, 1992). Pingali, Hossain, and Gerpacio (1997) cite several examples of Asian landraces that are of higher quality and fetch premium prices in the market. In South Korea, the modern tongil variety was replaced by a relatively low-yielding, traditional japónica rice as consumers expressed a preference for japónica types by offering higher prices as their incomes rose. Niche markets or branding enable farmers to recoup the premiums consumers are willing to pay for unique attributes or qualities. Farmers in niche markets do not control supply or prevent imitation. Branding enforces supply constraints through (1) some fixed and identifiable attribute such as a geographic origin, (2) membership in an exclusive producer group, (3) strict production standards or guarantee of process, or (4) control of an ingredient by an exclusive producer group through intellectual property rights (Hayes and Lence, 2002). Restricted labeling systems have long been used to ensure consumer quality and authenticity for meat, cheese, and wine products in Europe. Falcinelli (1997) describes how labeling systems may promote conservation of farro (einkorn, emmer, spelt) and lentils in Italy. In a study of the Label Rouge system for quality poultry production in France, Westgren (1999) cautions that the investment in consumer education required to support significant, sustainable price premia is costly and may not be fully internalized in any single market supply chain. Though common in the European Union, farmer brands are relatively rare in the United States. Brush (2000) reports an example of a successful "green marketing" program for ancestral maize of Cherokee farmers in the United States. Vidalia onions of Georgia are another example based on geographic origin related to superior quality. Labeling and marketing systems require public investments unless consumers are willing to pay price premiums large enough to cover the costs, and require fully commercialized, well-articulated markets for product attributes. 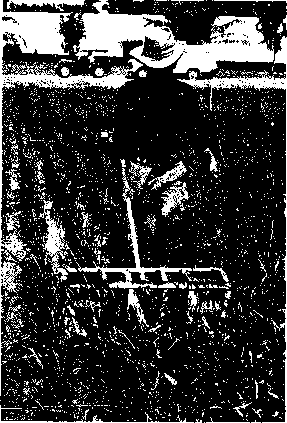 Hayes and Lence (2002) report several necessary conditions for the successful differentiation of farmer-owned brands, including good transmission of price signals, a scale of production large enough to justify the costs of creating a differentiated image among consumers, and capacity to prevent imitation. These conditions are not likely to be met easily in most contexts where diverse landraces are grown in less-industrialized economies, especially for staple foodcrops that are grown by many atomistic farmers. For example, Gauchan, Smale, and Chaudhury (2003) found that except for traditional Basmati (aromatic high quality) rice, most rice landraces in upland Nepal are traded in small volumes through informal channels where price signals are weak. If desirable attributes can be clearly linked to specific landraces, the landraces themselves must be readily identifiable and their attributes maintained through careful seed multiplication and production. Even if branding is successful, protecting one landrace may not have desirable implications for diversity conser-vation—especially if seed regulations require that landraces be uniform and stable like modern varieties. In either advanced or less-industrialized economies, public awareness initiatives can serve to increase farmer and consumer knowledge about the benefits generated by on-farm conservation, enhancing their demand for products and seed. In Nepal, Vietnam, and the Andes (Tapia and Rosa, 1993; Rijal et al„ 2000; Jarvis et al„ 2000, pp. 153-154), diversity fairs have been used to bring together farmers from one or more communities in order to exhibit the range of materials they use and raise awareness of the value of crop diversity. Rather than awarding prizes for the best individual variety (e.g., on the basis of yield or size), diversity fairs award farmers or cooperatives for the greatest crop diversity and related knowledge. In some communities, gatherings similar to diversity fairs are already customary events, so the incremental costs are low. Though such initiatives are gaining popularity in seed projects (Tripp, 2000, p. 116), there appears to be little evidence concerning their cost effectiveness or impact. Possible "supply" solutions encompass a range of seed market and genetic improvement options, as well as, potentially, protection of local varieties through Farmers' Rights legislation. India is one of the first countries in the world to have passed a legislation granting rights to both breeders and farmers under the Protection of Plant Varieties and Farmers' Rights Act in 2001. As of yet, however, the requirements for registering farmers' varieties have not been elucidated. Ramanna and Smale (2004) have argued that while this multiple rights system aims to equitably distribute rights, it could pose the threat of an "anticommons tragedy" where too many parties independently possess the right to exclude, resulting in the underutilization of crop genetic resources and discouraging the very innovation it was intended to promote. In more isolated areas or more difficult growing environments of less-industrialized agricultural economies, agroecological and environmental factors exert a more decisive influence on crop biological diversity than commercial markets. From one year to the next, farmers may lose their seed stock due to disastrous harvests, or diminishing seed quantities may threaten the genetic viability of the variety. Initiatives aimed at supporting the range and total supply of local seed types have been suggested in response to such situations. Community genebanks provide a mechanism for storing valuable landrace germplasm in a local ex situ form so that farmers' have more direct access to seed when they need it. Typically small in size, community genebanks can only maintain a limited number of accessions and replicates. The economic feasibility of community banks is also undermined by the high covariance of local crop yields, which means that many farmers in a community face similar seed deficits and surpluses. Cromwell (1996, p. 127) further cautions that access to seed through the community system is not always egalitarian, since seed is often hoarded or may be of poor quality. If farmers prefer to store seed on an individual basis but desire access to knowledge about the location of other seed types in surrounding villages, biodiversity registers are one low-cost, modest alternative (Rijal et al., 2001). A community biodiversity register is a record of landraces cultivated by local farmers. In addition to the names of the farmers who grow them and place of origin, the register may include data about the agro-morphological and agronomic characteristics of landraces, agroecological adaptation, and special uses. Registers can serve as an information tool that reduces the transactions costs of locating and exchanging diverse materials, but do not solve the problem of a shortage in seed supply relative to demand. National governments, nongovernmental organizations, and donors have invested in local-level seed projects as a means of delivering a better range and quantity of seed types where state seed enterprises have been ineffective and the commercial seed sector has been too slow to grow or too limited in focus. Reviewing these efforts to date, Tripp (2000, pp. 133-134) concluded that few of these projects have achieved the goal of establishing viable small-scale seed production enterprises. He cites as a principal obstacle the failure to recognize that seed provision requires more than multiplication. Projects internalize the costs of managing contacts involved in obtaining source seed and establishing quality control procedures, arranging for seed conditioning, and, in particular, marketing the seed. When projects cease to be funded, the effectiveness of the seed enterprise falters. He argues that more must be done to support institutional growth and strengthen farmers' links with markets and institutions that are already in place. One prerequisite for building such institutions is an understanding of existing seed exchange networks, whether formal or informal. Another is an understanding of how public systems might be adapted in order to promote the use by farmers of a broader range of materials. In Nepal, informal research and development (IRD) has been used to test, select, and multiply seeds (Joshi and Sthapit, 1990). A small quantity of seed of recently released and/or nearly finished varieties is distributed to a few farmers in a community to grow under their own conditions with their own practices. First practiced by Lumle Agricultural Research Centre (LARC), this approach has now been adopted by other organizations in Nepal and India for variety testing and dissemination (Joshi et al., 1997). Such approaches incur no substantive additional costs but speed the time to use of varieties since they shortcut release procedure. They are likely to enhance diversity since each farmer receiving seed adapts it through his or her own seed selection practices. Recent work by nongovernmental organizations has sought to identify the ways in which seed markets can be stimulated as a means of introducing and supporting local diversity (CRS, ICRISAT, and ODI, 2002). Rather than impose seed provisioning, attention has been shifted to reinforcing existing farmers' systems and seed system recovery (Jones et al., 2002).